Abel Guerrero has joined the San Pedro Town Council staff as a town foreman. 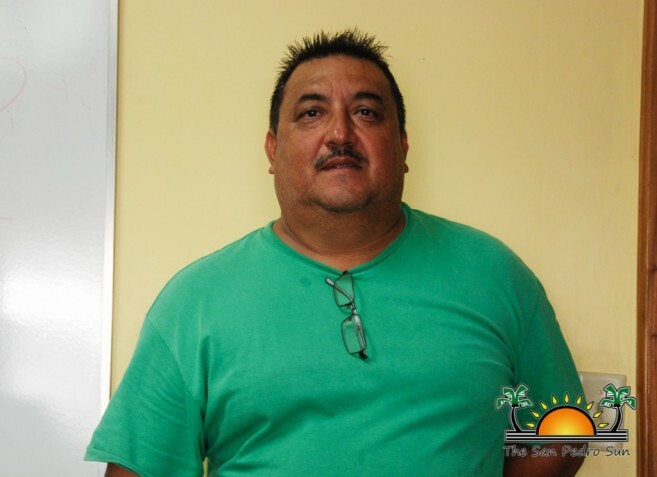 Guerrero is now in charge of the upkeep and sanitation of Coconut Drive and Seagrape Drive and the stretch of beach from Tropic Air to Belize Water Services, including the sub-areas of San Pablo, San Marcos, DFC and Escalante. Foreman Guerrero is well versed in managerial skills and has over 35 years of experience as a supervisor in both the business and tourism sectors. He has previously held positions of manager at Krystal Shipping Company and co-manager at The Victoria House Resort. “I am looking forward to keeping this island clean. This is our home so we need to take pride in it and keep it clean,” said Foreman Guerrero. Foreman Guerrero is asking the residents of the area to report concerns, complains or improvement ideas on garbage collection. The San Pedro Town Council now has three foremen, Samuel Gonzalez Jr., Freddy Gonzalez Jr. and Abel Guerrero, each is in charge of garbage collection and upkeep in a selected area of San Pedro. We welcome Mr. Abel Guerrero to his new post, and look forward to continued efforts to keep La Isla Bonita clean!